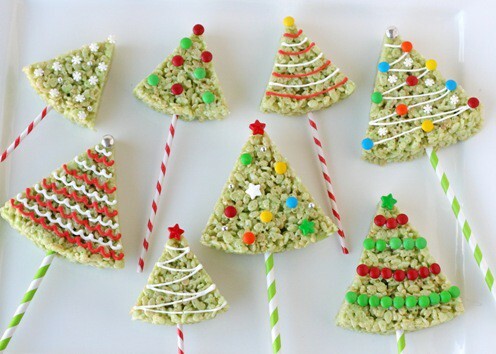 Rice Krispie Treat Christmas trees by Glory of Glorious Treats — Fun food idea for the holidays! I’m thrilled she’s visiting today! Thank you, Glory!! Hello sweets lovers! 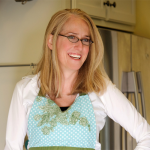 I’m stopping in to “blog-sit” today and hopefully give Meaghan a few days of rest before her sweet baby #2 arrives. 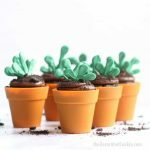 I love the way Meaghan can take simple sweets and make them into something so cute and creative! 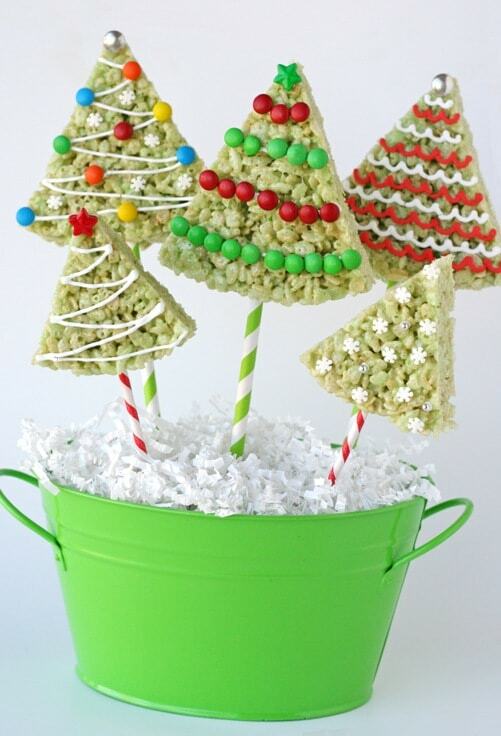 I did my best to channel her creative genius, and came up with these Christmas Rice Krispies Trees. 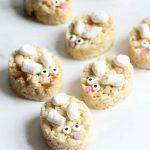 I love the simplicity of rice krispies treats, and like finding new ways to dress them up! Earlier this year I made some Watermelon Slice Krispie Treats, and then some fun Candy Corn Krispie Treats, and thought the same concept would work perfectly for Christmas trees. 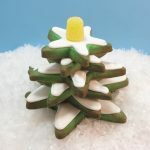 The extra fun thing about the trees is, once they are cut, you can have fun decorating them just as you would a cookie. 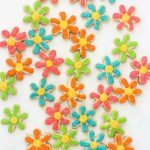 These would be a great alternative for a cookie decorating party. Prepare 2- 8″ round cake pans by spraying the with non-stick cooking spray. Put rice cereal in a large bowl. In another large bowl, add marshmallow and butter. Microwave marshmallows and butter 3-4 minutes, or until super puffy and the marshmallows are beginning to melt together. Carefully remove from microwave, and stir well. Add green food coloring (I used a couple drops of Americolor mint green). Quickly pour green marshmallow “sauce” over rice krispies and stir with a spatula that has been sprayed with non-stick cooking spray. As soon as all the cereal is incorporated, divide mixture between the two pans, and press into the pans until level and slightly compacted. 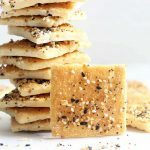 Allow krispie treats to cool about 30 minutes. When cool and firm, flip pans over onto a cutting board to remove rice krispie round. Cut the large circle into 6 slices (as you would pizza), using a large serrated knife. 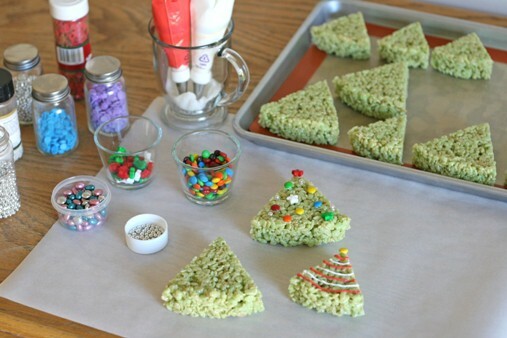 Wrap or decorate rice krispie “trees” as desired. If you plan to add a stick (as pictured), I would suggest adding it before adding the decorations. 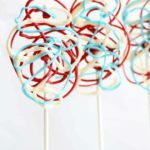 If you add the sticks after they are decorated (as I tried to! ), it may disturb your decorations. 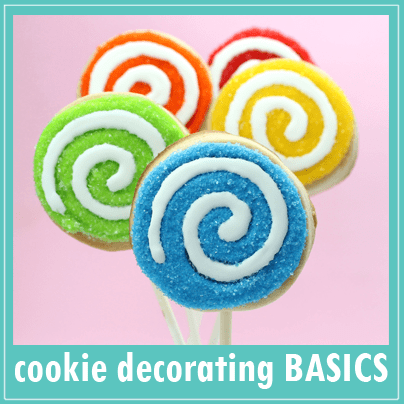 I used striped paper straws as sticks, but you could also use white cookie sticks (available from any major craft store). Thank you, Glory, for visiting! 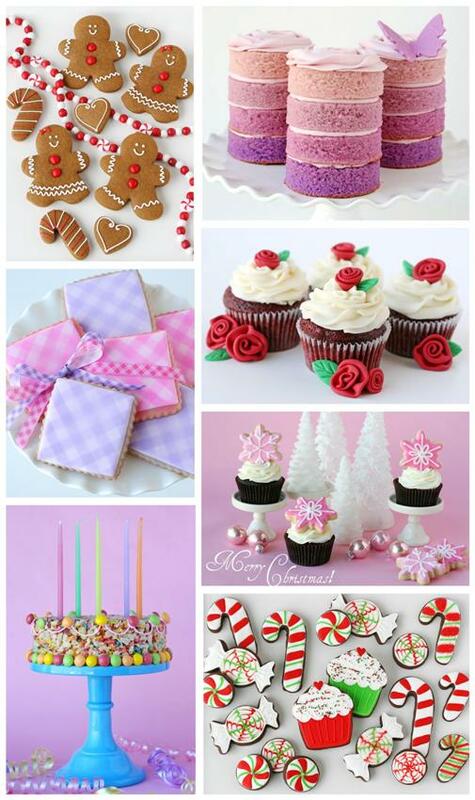 Be sure to check out her blog, Glorious Treats, facebook page and Pinterest page! 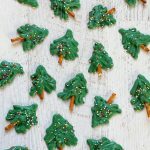 These are so cute and such a fun holiday treat for the kids. 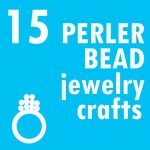 They will enjoy helping to make them as much as they will eating them! Meaghan ~ Will be thinking of you on the the 10th and saying prayers for the safe arrival of your daughter and a safe and *quick as possible* recovery for you. Take good care and get lots of rest this weekend 🙂 Sincere best wishes to you and the family. I love these cute trees! Two of my favorite peeps in one spot! I am so excited to meet future cookier #2! Lots of love and prayers, Megs! The straws are such a cute addition to the trees! Sending you best wishes for Baby #2 and the whole family! good luck with the baby and upcoming surgery. Will miss your posts. The trees are so cute, Glory! The straws really add to the presentation:) Thinking of you today, Meaghan! XO! They look so lovely. May I know how did you attach the straw to the rice krispie? 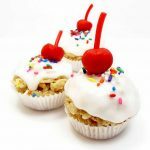 Hi Lyn, Glory of Glorious Treats made these, but I believe you just insert the straw into the bottom of the finished Rice Krispies Treat, so the treat should be made thick enough to accommodate the straw.